In October of last year we were priviladged to be a part or Mallory + Zach’s wedding day at the Happily Ever After at The Barn. 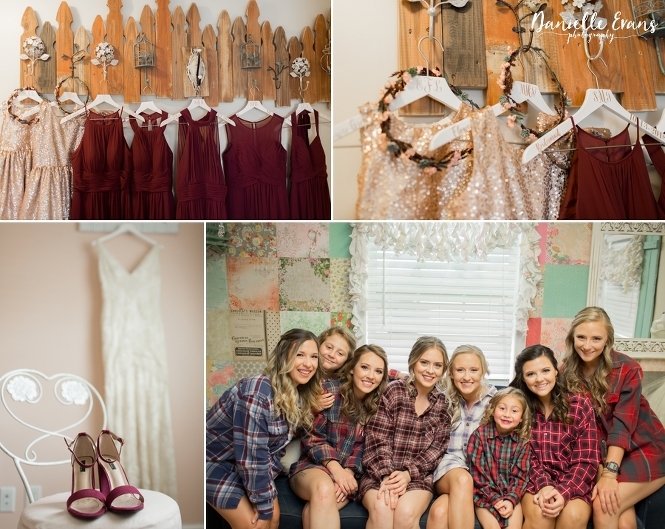 Located in Kodak, Tennessee, near the Great Smoky Mountain National Park and surrounded by fields and forest the Happily Ever After at The Barn was the ideal setting for these two to celebrate their love. Mallory and her maids lounged in plaid shirts while getting ready for the big day. Once Hair by Desilee worked her magic, the ladies slipped into their burgundy dresses in varied styles. Her flower girls wore the sparkliest of blush dresses with flower crowns. Mallory herself wore a stunning bridal gown from LVD Bridal. The beading and lace were a work of beauty rivaled only by the bride. The bride also wore a long tulle veil and needless to say we had lots of fun twirling and letting it flow in the wind. The bride and her bridesmaid carried florals from Hall’s Flower Shop. So much texture and color we were swooning. 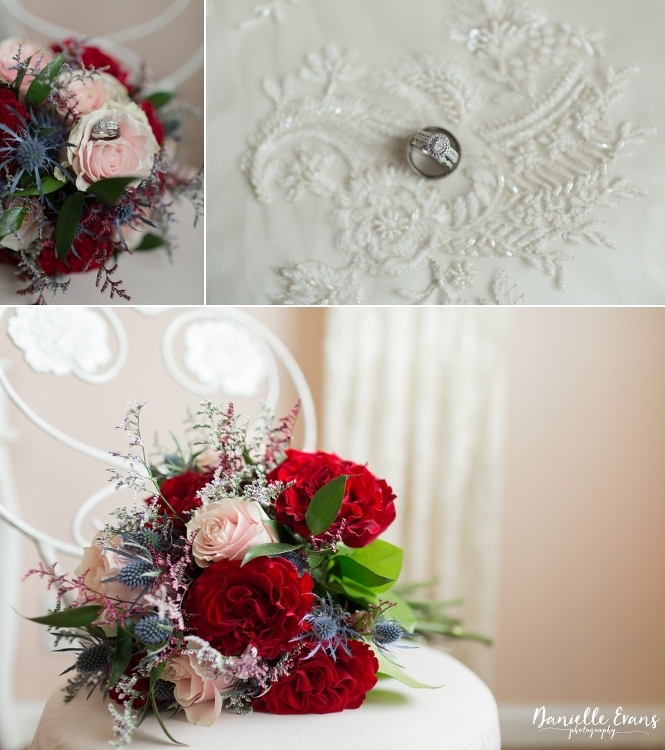 The men wore boutonnieres matching the ladies in texture and color. The groom wore slacks and blue blazer while his groomsmen wore slacks and vest. And didn’t they all look sharp?! The ceremony was held in front the barn with a cross and two large floral pieces. At the beginning of the aisle the bridal party passed underneath an arbor of florals and draping. The aisle was lined with florals in mason jars. The groom got very emotional when his bride began walking down the aisle. 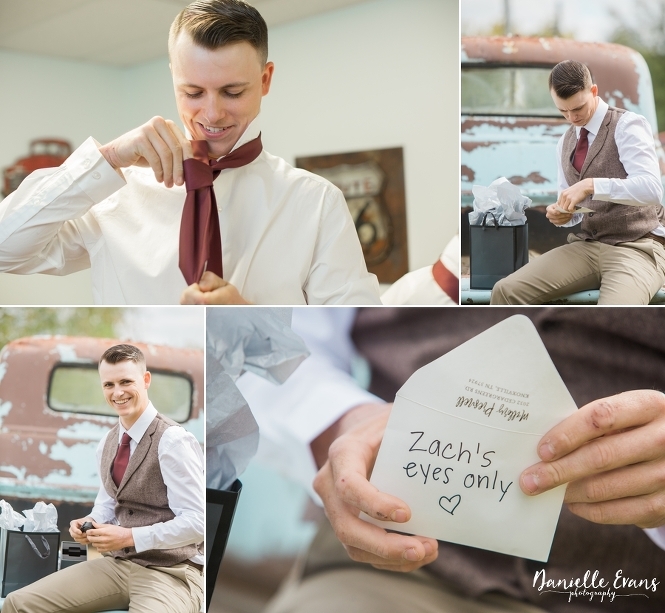 We just love when a grooms emotions really come through. I’m not crying, you’re crying. As if we weren’t emotional enough, the bride’s mom gave her away and cue more water works. This ceremony was just so sweet! After the ceremony we took full advantage of the vintage turquoise truck on the property. In addition to the color of the truck, the light was shining through the trees spectacularly. These golden hour photos have to be our favorites. Just when we thought Mallory couldn’t look anymore beautiful, the bride traded her veil for a floral crown and we are so happy for the wardrobe change. As the sun was setting our photos seemed to become so magical. The couple was sent off at the end of the night in a tunnel of sparklers to their new lives as husband and wife. Thank you so much for trusting us with your special day! We wish you a lifetime of love and happiness. Simply put, I fell in love with people. I started with a passion with landscape and travel photography, but I eventually realized I loved to photograph people more than anything. Whether it’s a bride and groom or a mother and her baby, I love to watch people interact and share those special moments between one another. Capturing a wedding day is nonstop FUN! 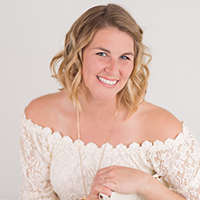 My wedding business, Danielle Evans Photography, expanded when I purchased Memories Portraits in Knoxville. I now offer not only wedding services but also family, newborns, and commercial work. the beginning of your new adventure together!